It is of interest to those who examine the public’s experience with medieval history to acknowledge the role of the tour guide. Their position can generate an interest in medieval history, establish historical authority through the authenticity of their information and deliver it effectively to an audience. This study focuses on working in public history to identify an establishment of historical authority and validity, defined by the interaction of the general public and the guide within a museum setting. Drawing from working as a guide at Dublin Castle, this study attempts to debunk the idea of ‘publish or perish’ and highlights how museum professionals are entrusted with deciding what information is presented to the general public outside of an academic setting. By doing so, the guide must also recognize important developments in the field of medieval history. From this sliver of a bank, the guide generates a sense of the Viking settlement through their narrative, discussing how they lived and how they settled in this area. 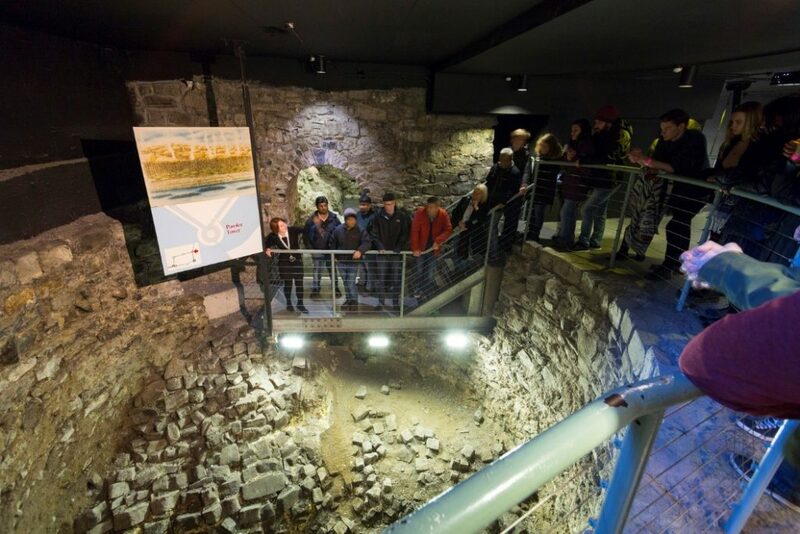 An insight into pre-Norman Dublin sets a precedence for what is to follow, another 1200 years of history condensed into a 60 to 70-minute tour. By starting in the medieval section, the guide then also stresses the importance of the medieval history of the site in order to talk about later structures. Highlighting the importance of the site’s medieval roots has generated a keen interest in the era. This result has been noted through a continuous hike in visitor numbers with an interest in the field of medieval history at Dublin Castle. [i] I suggest that a continued focus on medieval history be applied at other sites where this compartmentalisation of eras occurs, or where medieval history forms the basis of a site serving a different function today. The role of the guide is then to present a tangible sense of the past, by striking correlations with the site as it is at present. In order to promote an interest in medieval history, the narrative must be factual. Thus, a problem faced by the guide includes establishing historical authenticity without being based in an academic setting. 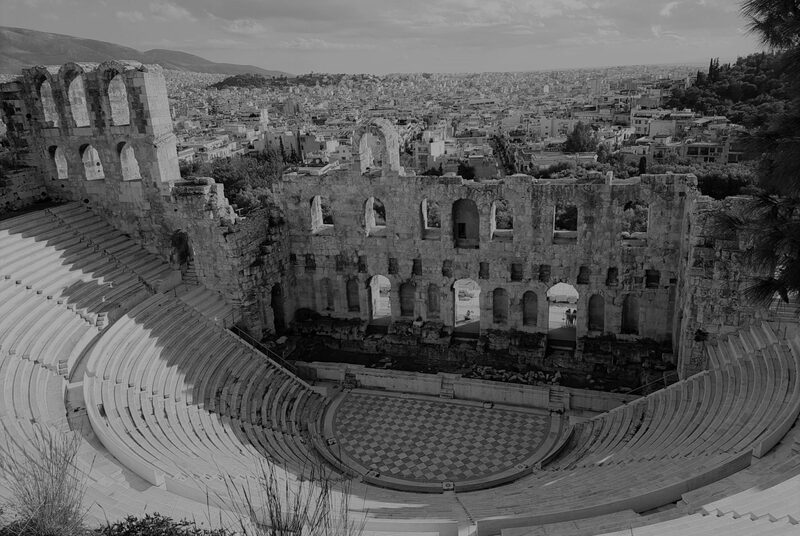 However, the question is posed, are academic settings based solely in universities and research centres, or can such a setting be produced at a historical site where professionals engage daily with the public and history? This study will propose that the latter is the case, and that a guide can engage with the immediate public and use their position to highlight aspects of medieval history relative to the site. This is not confined to the site itself but allows the guide to discuss the importance of the site in terms of time-frame and location, expanding the net wider to Dublin, Ireland and Europe. The visitors on tour also rely solely on the guides’ information in tandem with any written resources available, thus creating a sense of historical authority for the guide. The academic field surrounding the subject is absolutely not ignored; it forms the basis for narrative and, as noted previously, a lot of narrative at Dublin Castle comes from the publications of the archaeological reports by both Manning and Lynch. It is also the case that by engaging daily with the public, the guide can retain recurring questions on specific elements of medieval history and incorporate them into their own narrative. This practice in turn creates an authentic tour based on their experience with the public and the public’s interests. This level of authenticity can thrive at a site that does not use a script – like Dublin Castle. This also creates an atmosphere amongst the guides of conducting research, whether that is utilizing that which has already been published in the field or in the case of Dublin Castle, generating their own publications based on primary sources available on site. It is necessary to note that not every site has archaeological reports or letters to hand; however, a publication developed from the site itself and not through a university or research centre can hold just as much merit in the field of medieval history. Thus another question is posed, is it actually necessary to publish aspects of a tour that are deemed authentic by being new pieces of information? I argue that it is not absolutely necessary to create a plethora of publications whilst working with the public daily. The idea of ‘publish or perish’ is only to validate the role of an historian. However, that can be someone who interprets a site, conducts research and develops public interest in history – in this case medieval history. By reinventing the role of an historian then a guide can be viewed as one; in that 60 to 70-minute tour, they are the figures establishing historical authority. It is not the intention of this study to diminish the importance of publishing as it is absolutely necessary to the field of history. However, by working as a tour guide, enough validity as an historian should be generated to ensure one does not ‘perish’. This interaction with the public is where the guide as an educator holds an important role on site. As all research is carried out by the guides at Dublin Castle, the deliverance is also based on their ability to communicate and this in turn is also based on the audience. The role of the guide is also to provide a learning experience for any visitor who decided to attend the tour that day. [iii] This role involves not just supplying information about the site but ensuring that the audience understands what is being said. The importance of communicating information is an attribute of an effective tour guide. Thus, the public gains a greater understanding of medieval history by being taught about what has been published in the field, in a way that is more accessible. Although I have proposed that the benefits of a human guide can generate greater interest in medieval history and maintain it by creating specialized workshops or tours to encourage returning visits, there is a problem facing the tour guide. 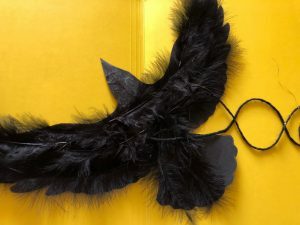 A guide can identify a visitor’s connection with a site and can provide more focused information of interest, whereas a written or even digital resource produced for mass consumption cannot. Thus, this speaker would also argue that the value of the guide is to observe and promote a connection between interest and the site itself. However, there is the threat of a ‘virtual’ replacement. The virtual tour guide could provide information but not necessarily gauge the level of understanding amongst the audience or mould any narrative around specific interests or personal links a visitor has with the site. It is worth noting that technology in the museum space is not going to cease, and guides should not necessarily fear the development of the ‘interactive experience’ at museums. Currently, I am incorporating advancements in technology into my narrative by developing a virtual reality tour to enhance audience experience whilst using my own narrative. 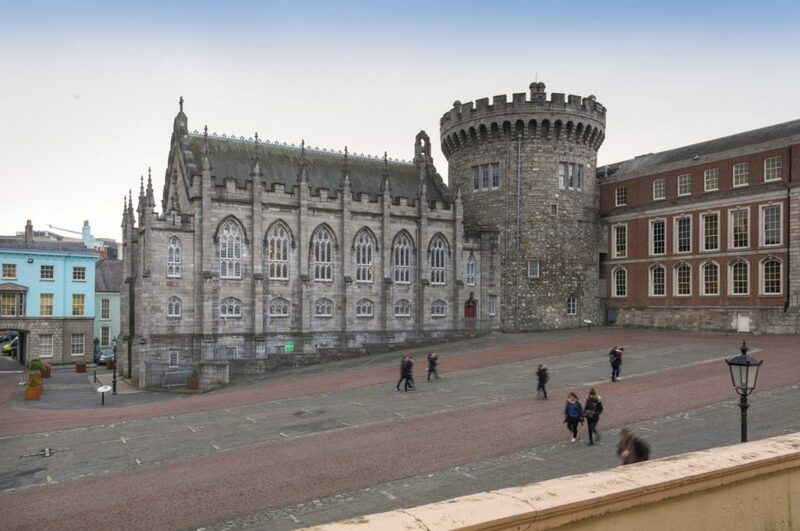 As mentioned above, a guide must promote the re-imagining of Dublin Castle when discussing the former Viking site, but of course this is to reflect the ‘ideal tour guide,’ not every guide wants to deliver an eruditely written lecture which they can convert and tailor to specific audiences. There is also the entertainment factor associated with tour guiding. As mentioned previously, to generate interest and hold it depends on the credulity of information and its deliverance. This combination does require some sort of flare stemming from the guide’s own interest in the history they are relaying, in turn educating the audience. Therefore, the entertainment aspect could cause a sense of a lack of validity on the part of the guide. Instead of interpreting this as damaging the guide’s historical authority, it should be reinterpreted as an alternative way of relaying history by promoting the constant relevance of the theoretical development of medieval history. Thus, even the potential to hold historical authority is enough to not ignore the role of the tour guide. Although digital recreations of the site are available online, I argue for the benefit of being walked through a heritage site. The guide recreates the past through their ability to hold interest, provide historical authenticity and strike some tangibility of a past when little visual reminders remain. The guides at Dublin Castle are also all museum educators, designing their own scripts and developing a setting which encourages new research to support any claim of authenticity. The responsibility to educate visitors and provide site interpretation is also challenged daily with a varied audience and a diverse general public. The guide must consider who is visiting and strike a balance between accommodating local, national and international visitors and bridging any gap between an interest in public history and an understanding of it. By interacting with local, national, international, elementary, high school and university level visitors the ‘general public’ net could not be any wider. By generating their own historical authority, the guide’s role is not to solely catch interest in medieval history but to promote and develop it. The role of the guide should be representative of and more interactive with the experts in the field of Irish medieval history as they maintain an authority of their own. By being the front line in a museum setting they are the border between information and the public whilst having knowledge of their questions and interests. Thus, it is important when discussing public history that the guide’s role must be considered. [i] As museum educators, the guides as Dublin Castle record the amount of people in attendance of any specialised tours or workshops in order to determine interest in the subject of medieval history. [ii] Laura Fitzachary, “Working in Public Archaeology.” Trowel, Volume XVI (2015): 84. [ii] Ann Lynch & Conleth Manning, “Excavations at Dublin Castle, 1985-7,” in Medieval Dublin II, ed. Seán Duffy (Dublin: Four Courts Press, 2001), 169. Fitzachary, Laura. “Working in Public Archaeology.” Trowel, Volume XVI. (2015): 83-87. Lynch, A., Manning, C. “Excavations at Dublin Castle, 1985-7.” In Medieval Dublin II, edited by Seán Duffy, 169-205. Dublin: Four Courts Press, 2001.